Dec. 6, 2017 - Canadian Forest Industries' delved into the world of stacking and strapping to bring the latest to the forefront. With today’s production rates, the stacker has become the heart of the production line; if it cannot keep up, everything else slows down. Being one of the pioneers of the dual forks stacker, Carbotech cumulate over the years a great expertise with its forks mounted with linear bearings, driven by servo motors and reaching unbeatable speeds. 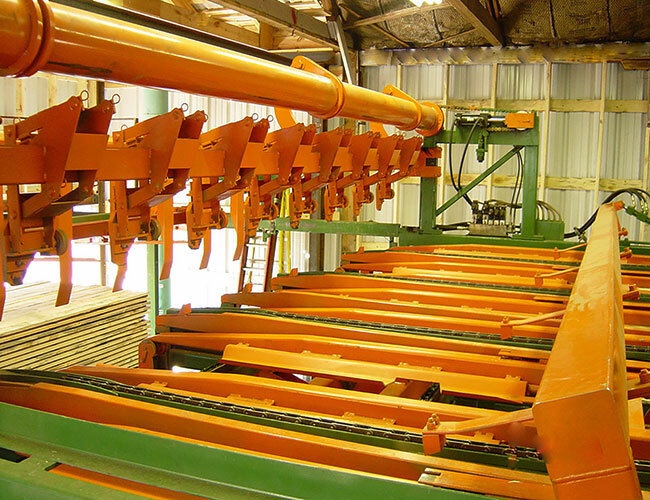 For the greenmill, Carbotech has also showed a great proven experience with its fully automatic stick distribution system. Well known for the robustness and the simplicity of its single or dual fork stacker, Carbotech will manufacture the stacker just right for your production! 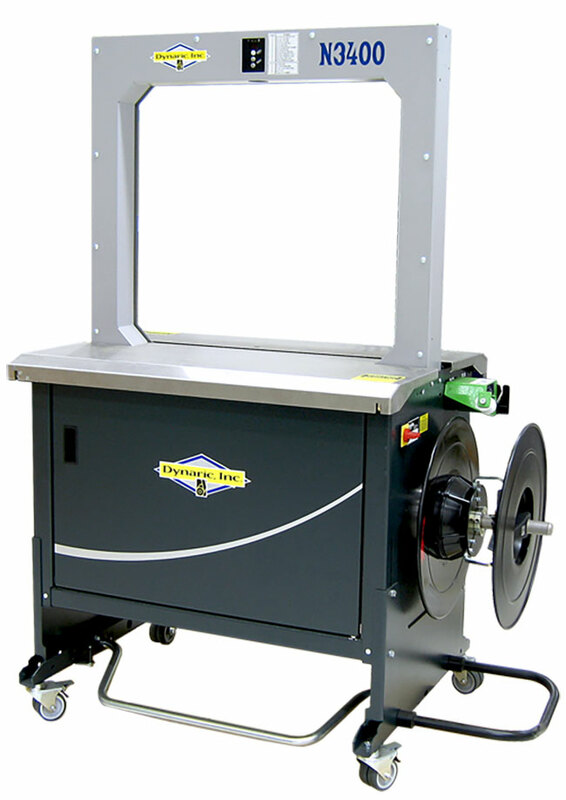 The N3400 fast automatic plastic banding strapping machine is an energy-saving, strapping machine equipped to provide reliable performance while using less energy. Using standard 120V power to operate the 24V direct drive servo motors. The direct drive servo motors not only save energy but also increasing machine reliability, in-turn reducing machine and production downtime. For quick maintenance or cleaning, the strap path can be easily opened without tools with the new DAT (Direct Access Technology) system. To decrease downtime in between coil changes the N3400 can be equipped with an externally located dispenser that can utilize Dynaric XL coils. The N3400 fast automatic plastic banding strapping machine is equipped with an automatic strap feeding system as well as an “end of strap” sensing system with automatic strap discharge once a coil has been completed. The N3400 can be customized to meet the requirements of any packaging environment. After 20 years, dozens of machines around the world, and millions and millions of cycles, the GBI VPG (Variable Pan Geometry) system leads the industry. No other sticker stacker beats the lower total cost of ownership provided by this revolutionary design. In the VPG system, the sticker is moved from the sticker distribution chain to the stacker fork holding pan by pivoting the pan down to receive the sticker. This simple rugged process provides years of trouble free operation. 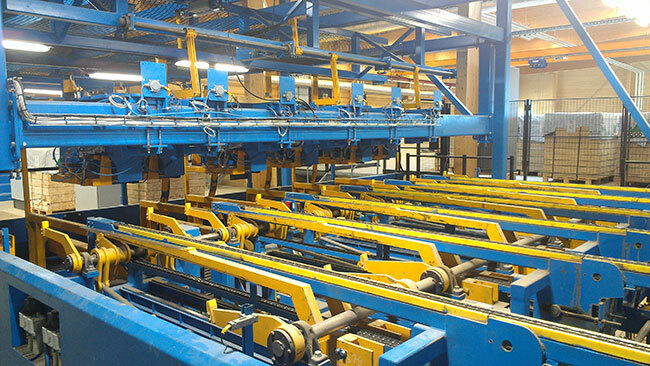 Package Turning Chains – In certain situations due to site constraints linear flow through, the bander and paper wrap line is not always possible. Package Turning Chains can be utilized allowing for rotation of the package to some other angle to suit the layout. 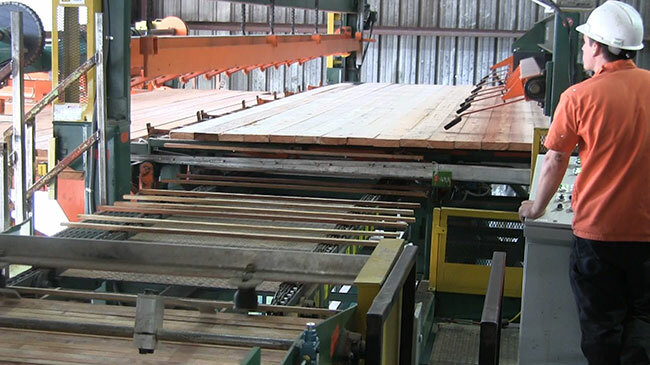 USNR’s electric stick and fork stacker is a breakthrough in automated stacking that provides excellent stick alignment and smooth continuous operation at high speeds. 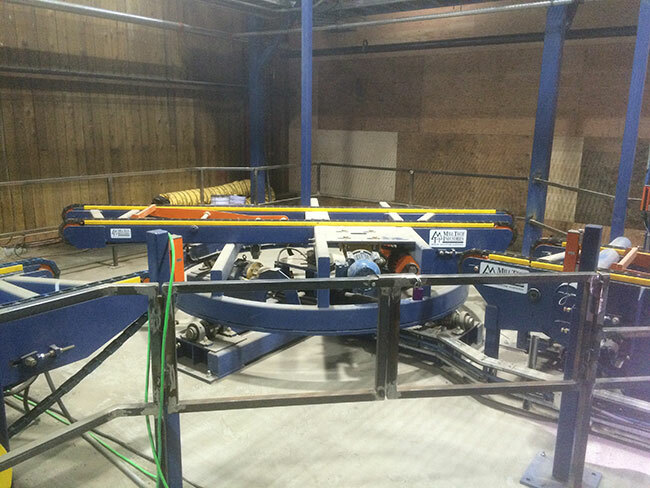 Close proximity and full automation enables one operator to easily handle it. It’s the fastest and smoothest continuous stacker of its size in the world. 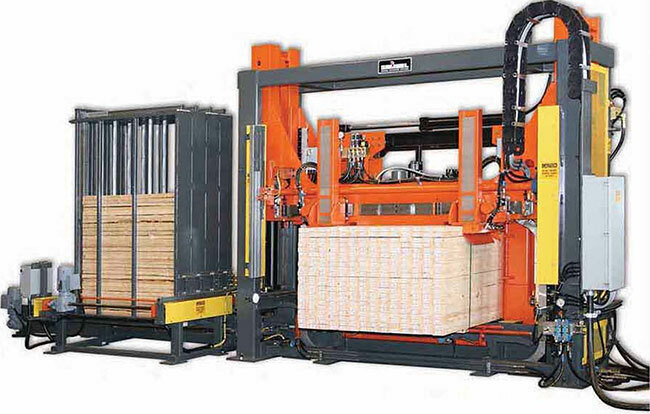 Advanced features never before combined into one sticker-stacker include air gapping, solid piling, and course skewing, random width stacking, multiple package widths, continuous stacking with on-the-fly product changes, shifting from a stickered pack to a solid pack without stopping, with greatly reduced stick misfeeds and the fastest stick feed rates in industry.